There are a lot of vendors manufacturing GPS tracking equipment in market today. Most of them use proprietary software together with their own proprietary protocol. As a result, it is impossible to use GPS tracing equipments from different vendors together without problems. And this is the most important reason for that almost all GPS tracking user companies tie themselves to only one vendor and will not be able to change vendor until the end of existing product life cycle. Generally a GPS Tracking Equipment which is produced from any vendors and must be able to send real-time data through Internet network via GPRS or any other technologies . Compatible equipment may send data in any formats on any protocols depending on vendor's choice of implementation. So, normally all real-time GPS Tracking Equipments existing in market today are compatible with our OGTS and can be used together with GPS Equipment from other vendors without any problems. Each vendor may need to develop their own Server Service that is able to interpret data of their own format on their own protocol. Each vendor's Server Service will retrieve real-time data sent from each GPS Tracking Equipment and record it into prepared database following our specification without concerning about user interface. Vendor may use the same Server Service for all series of their own product if all of them use the same data format and same protocol. A very flexible tracking system database structure designed to support basic functionalities as much as possible. Since not all GPS Tracking Equipments from different vendors provide full set of data needed, this data structure was designed to handle cases that some data may be missing. Currently we run public database server on our own server which is the same machine as web server but in the near future we may allow vendors or users to set up their own database server so they will be able to keep tracking history as long as expected. Web based application that retrieve data from Unified Structured Database and represent in user-friendly manner. In the same way as Unified Structured Database, User Interface will be implemented with awareness about that not all data may exist. E.g. GPS Tracking Equipment from some vendors may not provide information about movement heading. User Interface Application should display that particular data without error. * This Service is free of charges. 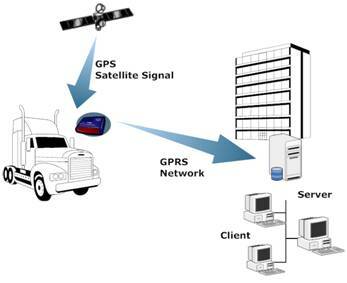 * This Service opens to any GPS Tracking users as far as their vendor's Server Service is available. * This Service opens to any GPS Tracking vendors. Vendors or product user groups are able to freely develop their own Server Service following the specification provided by us. We may give consultation or support but will not take responsibility on development process, making decision on technologies choice and development cost. * You are responsible for your own conduct and content while using the Service and for any consequences thereof. You agree to use this Service only for purposes that are legal. * Due to our limitation on server performance, we can't keep tracking history forever. Currently we keep tracking history for only one day and will extend in the near future if we get enough support from outside. If you want to keep tracking history longer than this please contact your vendor. We also allow vendors or product user groups to set up external database. And again, we may give consultation or support but will not take responsibility on setting up process, making decision on technologies choice and setting up cost. * Registration process, for some models, you just need to register here and then will be able to use immediately. But for some models you may need to inform your vendor and then they will prepare some data on Server Service for you. This may take time depends on your vendor's procedure or product user group's policy. Please contact your vendor or product user group for more detail about how to register and create a new account.